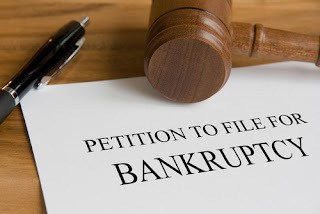 If you're one of those people who are dealing with a bad financial spot, then there's a great possibility that you're already thinking of filing for bankruptcy-- thinking it's the only way to go. Perhaps, you're also aware that this is a very serious decision, and because of that, it's important to weigh everything carefully before you even consider going out and hiring an attorney to help you solve your problem. There are a lot of lawyers all over Singapore that claim to be the best and outstanding. Thus, choosing the best can be a daunting task. Here are the 7 mistakes that should be avoided when hiring a bankruptcy lawyer. Read on to find out. Even if you find an attorney who specializes in bankruptcy, it's still crucial to ensure that they have plenty of experience and have handled several cases in the past. Despite the fact that there's no law saying that you should never hire new attorneys because they don't know what they're doing, it's still advisable to opt for one who has a proven track record. Keep in mind, you have a lot to lose and carelessness is not acceptable, especially in this issue. Most of us believe that we should always ask out our friends for referrals, especially if we're looking for a legal representation. This can be helpful at times, but this doesn't mean that it will always be. Even though both of you have bankruptcy issues, legal cases are sometimes very different from one person to another. There's always the chance that you might hire the same person and have a terrible experience, even though your friend has a pleasant experience with this lawyer. We're not saying that it's wrong to ask for referrals, but it's also important to do your homework first and see if he's really the person you need. Yes, let's be honest to ourselves. Nothing beats getting legal representation without burning a hole in your pocket-- especially if you're already having some financial difficulties However, by taking this kind of bait-- which is hiring a very “affordable” lawyer, you'll just put yourself into a deeper trouble. Even though fees are often decided in a way where you'll figure out who among these bankruptcy lawyers are really competitive, it's also important to be concerned if any attorney’s fees are dramatically cheaper than those in other firms. Of course, you want to get the best rate possible, but this doesn't mean that you should let the quality suffer. Keep in mind, your money and future is at stake. - Be frank, and let the lawyer know that you want to know how much you his service will going to cost you. - Make sure that it's in writing, especially before you even agree to anything. This will protect you from those bait-and-switch schemes. Be honest; are you one of those who's guilty of jumping on the first good thing that comes your way? If the answer is yes, allow us to enlighten you. Even though this can be done in other areas, this should be avoided at all cost when it comes to bankruptcy charges. Likewise, it's important to meet with a number of attorneys before coming up with a final decision of whom you're going to hire. If the first one seems perfectly fine, this doesn't mean that he's the best. Chances are, there's someone who's better than him. Meet with several bankruptcy attorneys in order to determine if the person you're going to hire is really capable of helping you with this matter. If you're not aware, bankruptcy is a very tricky area, and not all can help you with this issue. There are certain things that a general attorney would not know unless he had plenty of experience in this area already. While there are a lot of attorneys out there who include bankruptcy in their long list of things that they're capable of doing, it's advisable to look for a lawyer who really specialize in this field. There's a huge difference between Chapter 8, 12, and 14-- you should feel at ease that the bankruptcy attorney you're going to hire is very much aware of this. Sometimes, if you're lucky enough, you're going to meed with an attorney and everything else will go smoothly and fall into place. However, because of unforeseen circumstances, you end up with someone else and this can be a terrible experience for you. For one, you already had some kind of interaction with your original lawyer and you know nothing about this other person. Just because they work on the same firm, this doesn't mean that they also have the same caliber. So, as much as possible, when you're meeting a bankruptcy attorney for the first time, always ensure that he's the only one who will be working on your case. A lot of people believe that those attorneys who get a lot of exposure on TV is one of the best. This is not always true. In fact, most of the time, these bankruptcy attorneys run expensive ads with hopes that this can help them become more “popular”. We're not saying that you should never consider an attorney whom you just saw on local TV, but it's always important to have some research first and ensure that he really knows what he's doing.